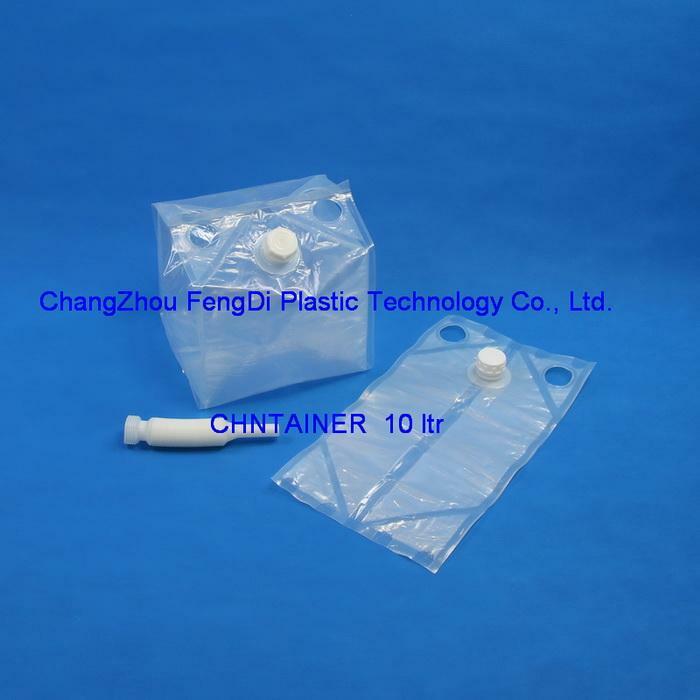 The Chntainer® Gusseted type BAG-IN-BOX is a patented,flexible package that comprises a gusseted,form-fit,multi-ply bag with a choice of fittings for manual or automated filling and dispensing of liquids. 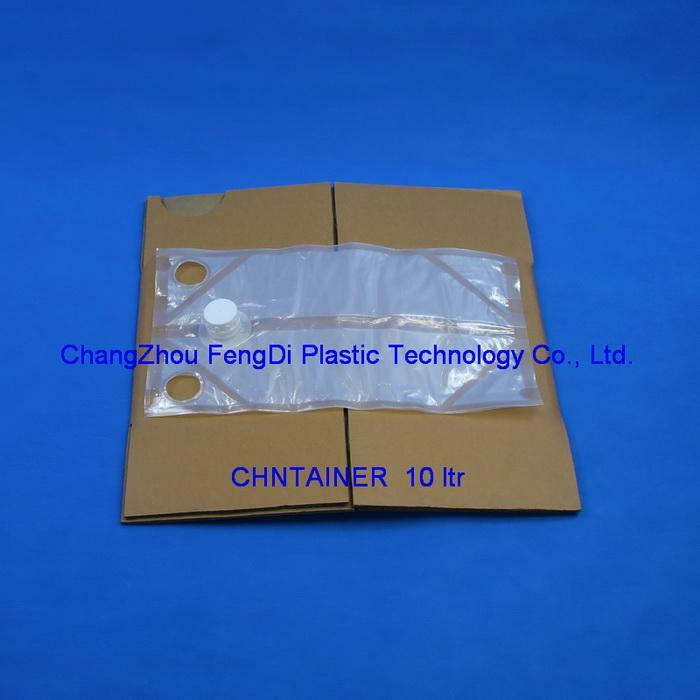 The filled bag is contained in a corrugated case that has an opening to accommodate the fitting. Available in a selection of sizes and in several film types,the bags can be supplied with or without the case. 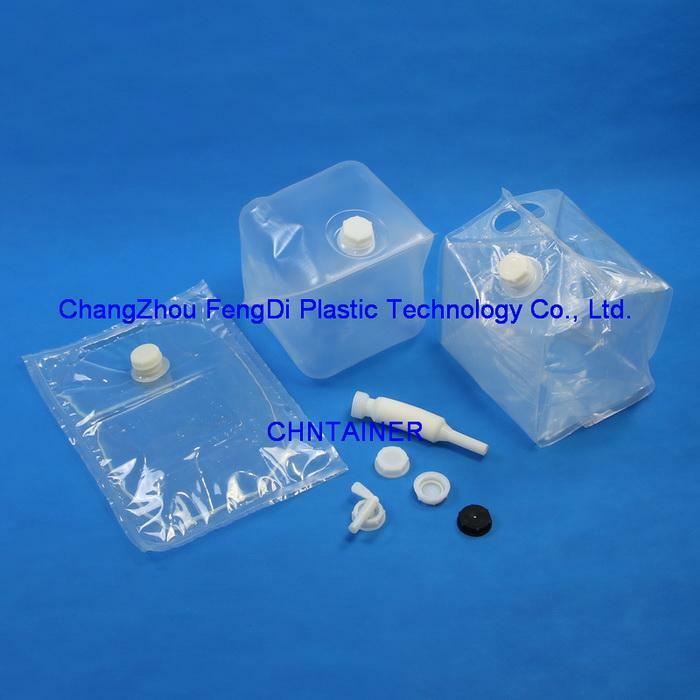 The system is an alternative to the cube-shaped inserts commonly used with photochemicals,food and beverage products and other pourable liquids that require packaging in the 5L to 25L range. It lacks internal folds that can trap residual product and does not require inflation prior to filling. Multiple film choices – Including standard barrier, high barrier, aluminized and other custom film structures upon request. 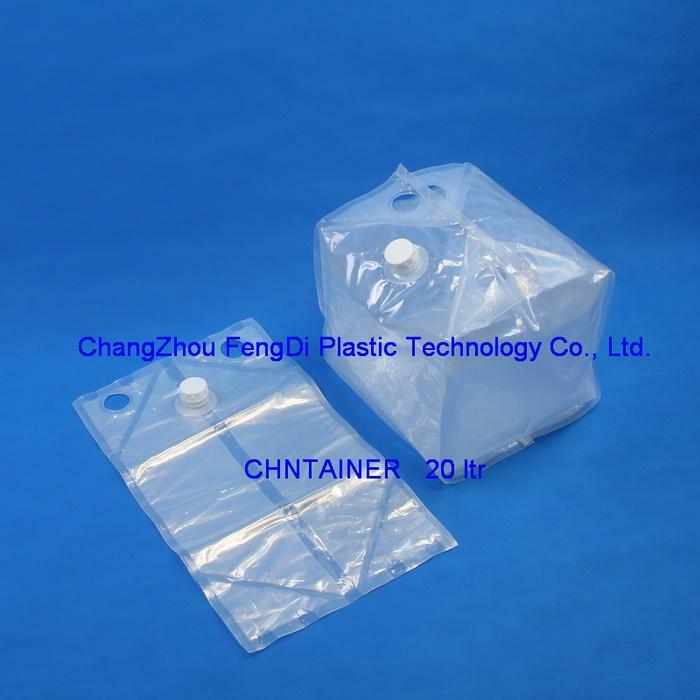 Multiple sizes – Standard sizes include 25,20,15,10 and 5 liter, but because Chntainer is made from flexible film and filled from a collapsed form (without an air space), each size can contain a range of volumes with no variations in performance. Multiple fittings – Whether filling manually or on an automated line and empty using gravity or a vacuum, CFD can supply the most appropriate fittings for your application. Superior seam strength – Superior design and materials make Chntainer much more robust than common bag-in-box packages, having yielded a seal-failure rate of less than 1 in 1 million bags in past years. Stacked, web or assembled – CFD supplies Chntainer bags in a continuous, perforated web, but can separate and stack them upon request. 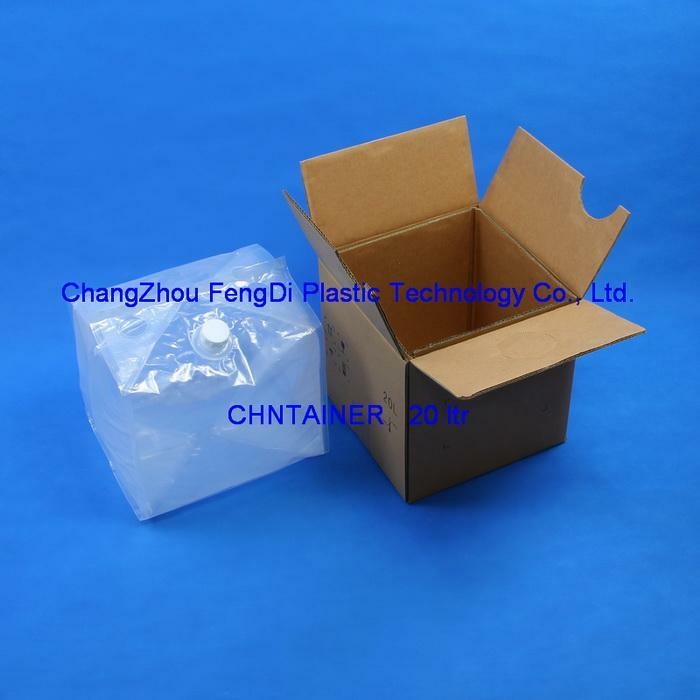 In addition, they are also available assembled into standard or custom-printed corrugated boxes, ready to fill. 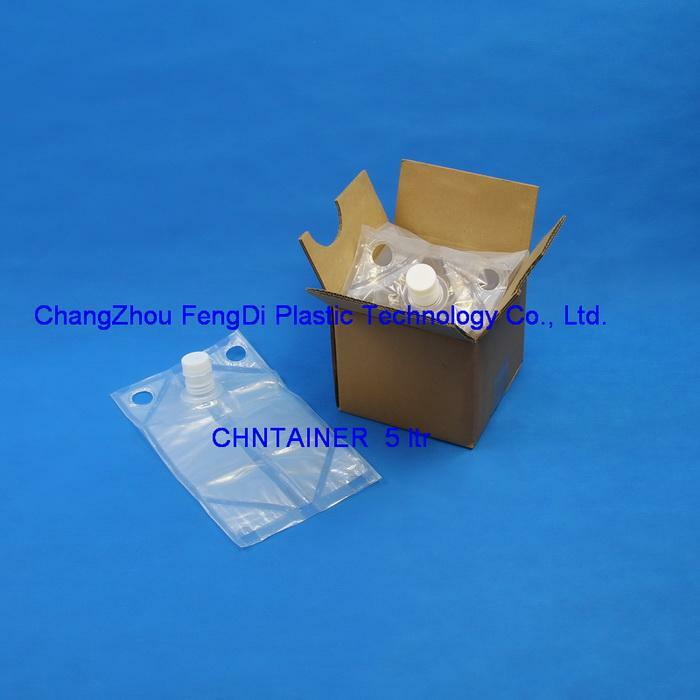 Costs less than most comparable rigid containers – Chntainer uses significantly less plastic and on average, costs notably less than a similar capacity rigid container,including plastic pails and cube-shaped inserts. Custom designs available – CFD will always consider custom box designs,bag sizes,film and fitting choices. We have built our business on providing the solutions our customers need most.